Paul Nicol is the Managing Partner and a Senior Financial Planner at GFM Wealth Advisory. Paul joined GFM in 1999 as a junior Financial Adviser. During his early years of employment, Paul worked closely with the founder of GFM, Tony Gilham to manage the financial requirements of existing clients of the firm. He is now the Managing Partner at GFM and in both 2017 and 2018 was ranked as one of Australia’s top 50 Financial Advisers as published by the Australian Newspaper in conjunction with the respected U.S. Financial Publisher Barron’s. Through a combination of managing client’s financial affairs and additional study, Paul has developed specialist expertise in the areas of superannuation, retirement planning, investment markets, portfolio construction and wealth protection. Paul is an Affiliate member of the Financial Planning Association and an SMSF Association SMSF Specialist Advisor. As the Managing Partner of GFM, Paul has been instrumental in a number of significant developments within the firm over the last 15 years. Over this period, GFM moved its business model to specialise in Self-Managed Superannuation Funds (SMSF). Although GFM has operated and managed SMSFs on behalf of clients since 1996, its significant growth has been largely attributed to GFM’s concentration on managing SMSFs over the last ten years. Today, the vast majority of GFM’s client base is SMSF clients. The SMSF service offering is a complete “end to end” offering including SMSF set-up, administration, compliance, ongoing investment advice and accounting. In 2003, GFM made a significant decision in applying for its own Australian Financial Services Licence (AFSL). Currently in Australia over 95% of Financial Planning firms are fully or partly owned by banks, large fund managers or other financial institutions. The implication of GFM having its own AFSL is that no financial institution, bank or fund manager that dictates which investments we recommend or how clients are invested. GFM is 100% owned by staff, and Paul is a significant shareholder in GFM. In 2013, GFM acquired accounting firm P. Gruchy and Associates, which has since been renamed GFM Gruchy Accounting. The acquisition has been critical for GFM as it allows an offering of not only comprehensive financial advice but also high-quality accounting solutions. In addition to managing many of our firms highly valued clients, Paul is also responsible for the day to day running of the business. He is extremely passionate about his role as a financial planner and takes great pride in the long-standing and loyal relationships he has developed with many clients. Paul is married to Lisa and has two young children. He is an avid supporter of the Sydney Swans in the AFL and enjoys following the English Premier League soccer and the Melbourne Storm. In his spare time, he enjoys spending time with family and friends and plays social tennis. James Malliaros is a Certified Financial Planner® at GFM Wealth Advisory. James completed a Bachelor of Economics/Science Degree at Monash University and after a number of years of working in management roles in the Hospitality Industry, travelling and undertaking further professional studies, he was employed by GFM in 2001 as its Financial Controller. In his role as Financial Controller, James was primarily involved in managing the accounts, payroll and invoicing for GFM, as well as a number of financial year end accounting responsibilities like BAS and GST reporting. After a couple of years of performing this role, James was given the opportunity to move into a more front line position within the organisation by taking a para-planning role in the newly established Para-Planning/Technical Services division. After being in the position of para-planner for a few years, James was given the opportunity to become a financial planner, a role he has been performing since mid 2005. Over the last decade, GFM has moved its business model to specialise in Self Managed Superannuation Funds (SMSF). Although GFM has operated and managed SMSFs on behalf of clients since 1996, the significant growth has been largely attributed to GFM’s focus on managing SMSFs over the last ten years. Today, the vast majority of GFM’s client base is SMSF clients. The SMSF service offering is a complete “end to end” offering including SMSF set-up, administration, compliance, investment advice and accounting. Through additional professional studies and as well as extensive experience in managing SMSF clients, James recently became a SMSF Specialist Advisor™.He has completed the Advanced Diploma of Financial Services (ADFS) and is a Certified Financial Planner®, the highest level of professional certification in Australia. In 2003, GFM made a significant decision in applying for its own Australian Financial Services Licence (AFSL). Currently in Australia over 95% of Financial Planning firms are fully or partly owned by banks, large fund managers or other financial institutions. The implication of GFM having their own AFSL is that they have no financial institution, bank or fund manager that dictates which investments they recommend or how clients are to be invested – GFM is 100% owned by the staff. In 2013, GFM acquired accounting firm P. Gruchy and Associates, which has since been renamed GFM Gruchy Accounting. The acquisition has been critical for GFM as it allows the offering of not only comprehensive financial advice but also high quality accounting solutions. James is a member of the GFM Investment Committee, which meets monthly to research, select and monitor all the investments on the GFM Approved Investment List. James is married to Claudia, and with their two daughters live in the south-eastern suburbs. He enjoys bike riding with the family and also regularly swims at the local pool to keep fit. He is the Treasurer on the School Council at his daughter’s high school. He is a passionate football fan and is a member of the Richmond Tigers in the AFL as well as Melbourne Victory in the A-League. Patrick Malcolm is a Senior Partner and Certified Financial Planner® at GFM Wealth Advisory. Patrick commenced employment with GFM in 2002 whilst he was completing his Bachelor of Commerce at Melbourne University. He was employed on a full time basis in late 2003 and completed his studies on a part time basis thereafter. Patrick was responsible for the creation of the GFM para-planning/technical services division, which produces the documentation that is presented to clients at appointments. The scope of this role expanded over his tenure in this position and eventually encompassed many practice management duties. He commenced his current role as a Financial Planner at the start of 2012. Patrick returned to Melbourne University to undertake a Master of Applied Finance on a part-time basis, which he completed in 2008. He has also undertaken a range of additional studies. Patrick was the second financial planner of the firm, after Founding Partner, Tony Gilham, to be awarded the Certified Financial Planner® designation. He is a CPA and was designated a Financial Planning Specialist by this organisation. Over the last decade, GFM has moved its business model to specialise in Self Managed Superannuation Funds (SMSF). Although GFM has operated and managed SMSFs on behalf of clients since 1996, the significant growth has been largely attributed to GFM’s concentration on managing SMSFs over the last ten years. In 2003, GFM made a significant decision in applying for its own Australian Financial Services Licence (AFSL). Currently in Australia over 95% of Financial Planning firms are fully or partly owned by banks, large fund managers or other financial institutions. The implication of GFM having their own AFSL is that they have no financial institution, bank or fund manager that dictates which investments they recommend or how clients are to be invested. 100% of GFM is owned by staff and Patrick is a shareholder. Patrick is a member of the GFM Investment Committee, which meets monthly to research, select and monitor all the investments on the GFM Approved Investment List. Patrick is married and lives with his wife, Liesl and young son Jakob, in the inner city. He is an avid golfer and is a member of the Kingswood Peninsula Country Golf Club, where he is also a member of the Finance committee. Patrick is a passionate supporter of Carlton in the AFL. Witi Suma is the SMSF Administration Manager for GFM Wealth Advisory’s Self Managed Superannuation Fund (SMSF) and Private Investment Portfolio division. 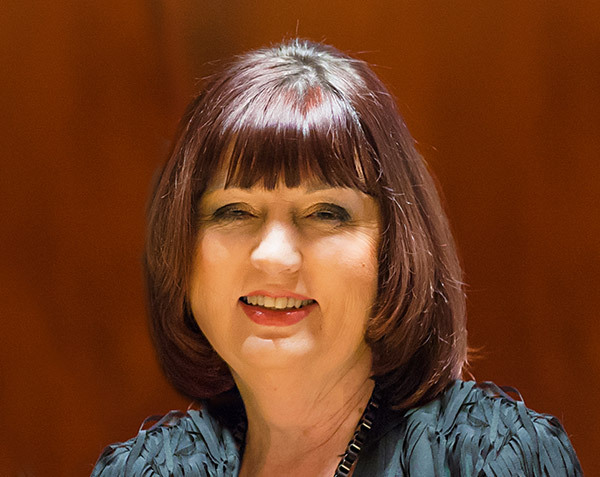 She commenced at GFM shortly after graduating from Deakin University in 1996, starting as the firm’s junior administration assistant and typist. With a keen interest to learn more about SMSFs, in 1999 Witi took on the role of manager of the department, handling much of the day to day administration and client contact on her own. Today Witi manages a dedicated team that looks after the establishment and administrative aspects of running our clients’ SMSFs as well as private investment portfolios. Witi is very committed to providing excellent customer service and enjoys getting to know our clients and assisting them where possible. She conducts regular client meetings, being the primary contact for our SMSF and investment portfolio clients aside from the advisers. Witi is proud to be part of a privately owned financial planning firm which operates its own Australian Financial Services Licence (AFSL) and has a strong philosophy of independence and direct investing. GFM specialises in Self Managed Superannuation Funds, private portfolios and strategic advice. Today, the majority of GFM’s client base is SMSF clients. The SMSF service offering is a complete “end to end” offering including SMSF set-up, administration, compliance, investment advice and accounting. In her spare time, Witi enjoys keeping fit with gym, cycling and boxing, and loves to travel around Australia with her partner Rob. They both have a passion for “muscle cars” and enjoy regular drives in their Mustangs. Mai Davies is the Marketing and Client Services Manager at GFM Wealth Advisory. 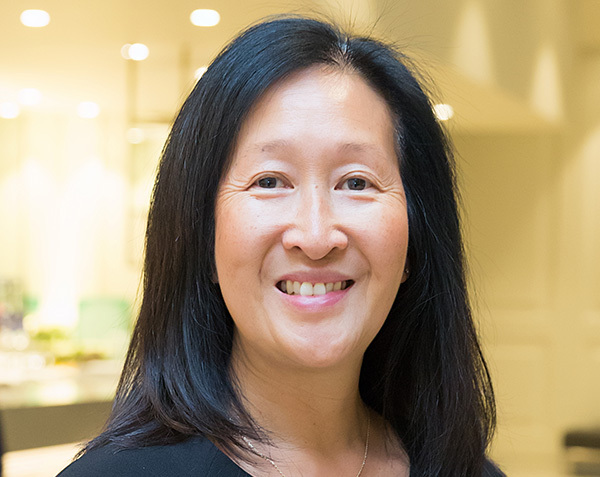 Mai commenced her career with GFM in 1984 as a junior secretary and has since worked in many areas of the business as it has grown over the years. She is our longest serving employee and is well known to our clients. Mai loves being in touch with our clients whether it is on the phone or by email to make an appointment or greeting them in the office or having a chat at one of our many client seminars or social events. She is passionate and dedicated in assisting our clients in any way she can and maintaining ongoing relationships. In the role of Marketing & Client Services Manager, Mai is responsible for arranging the client review appointments for our financial planners and running the many client seminar and client social events throughout the year. She has also co-ordinated the recent re-branding to GFM Wealth Advisory and our new website. Mai is proud to be part of a privately owned financial planning firm which operates its own Australian Financial Services Licence (AFSL) and has a strong philosophy of independence and direct investing. GFM specialises in Self Managed Superannuation Funds, private portfolios and strategic advice. Today, the majority of GFM’s client base is SMSF clients. The SMSF service offering is a complete “end to end” offering including SMSF set-up, administration, compliance, investment advice and accounting. Mai is married to Graham and has two adult children and two beautiful Burmese cats. In her spare time she enjoys spending time with family and friends, and lives an active healthy lifestyle with regular walks, boxing and yoga. Bryan Meehan is the Operations Manager at GFM Wealth Advisory. Bryan commenced employment at GFM in November 2004 following a 35 year career as a Federal Public Servant with Department of Defence. 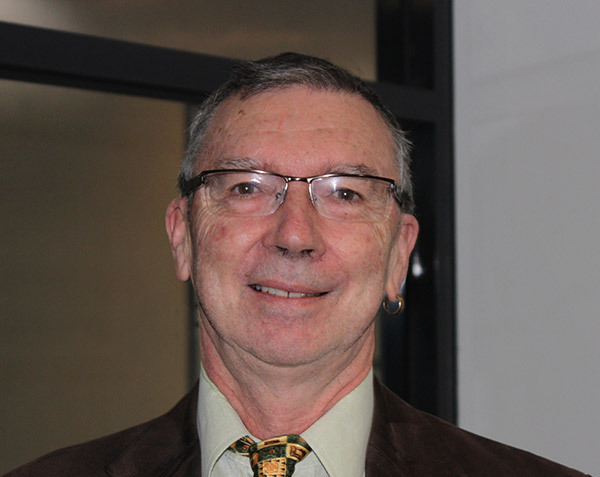 He commenced his Civilian Public Service career as a 19 year old in 1969 in the Army Pay Accounting Centre that formally became the Defence Force Pay Accounting Centre (DEFPAC) in 1979. 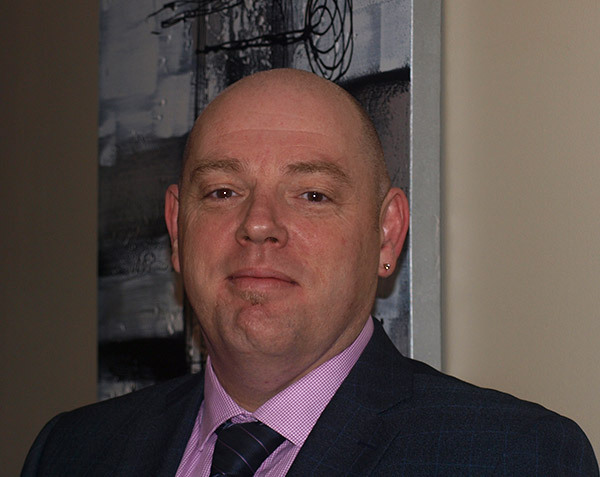 For the last seventeen years at DEFPAC, Bryan performed a HR role responsible for the budgets for the organisation, recruitment, and coordinating responses to ministerials involving pay matters from service personnel. Bryan came on board at GFM not long after the business was granted its own Australian Financial Services Licence (AFSL) and part of his responsibilities is to ensure that the compliance requirements of our AFSL are strictly adhered to. Bryan is also responsible for the day to day operations of the business from an administrative perspective and works closely with all sections of the business. Prior to joining GFM, Bryan had referred a number of retiring Defence staff to our organisation, as well as family and friends, and he takes great pride that GFM is currently assisting over 40 of his referrals with their retirement needs. Bryan is proud to be part of a privately owned financial planning firm which operates its own Australian Financial Services Licence (AFSL) and has a strong philosophy of independence and direct investing. GFM specialises in Self Managed Superannuation Funds, private portfolios and strategic advice. Today, the majority of GFM’s client base is SMSF clients. The SMSF service offering is a complete “end to end” offering including SMSF set-up, administration, compliance, investment advice and accounting. Bryan is married to our long serving receptionist of 17 years Maree and they have just ticked over 40 years of married life. They have three married daughters and nine delightful grandchildren. In his spare time he enjoys spending time with family, especially the grandkids, holidays, reading, all sports, and is an avid Carlton Blues fan. Jennifer Chin is our Financial Controller at GFM Wealth Advisory. Jen commenced employment at GFM in May 1992 in a junior role as part of a very small team assisting in the life insurance and superannuation department. In the 22 years that she has been with GFM, Jen has progressed, with her background in Accounting, to her current role of Financial Controller for the company. In her role as a Financial Controller, Jen looks after all matters pertaining to the company’s finances including all financial compliance to governing bodies and offices. Her keen interest to partner the business with technology from early on in her employment has also made Jen the first point of reference in regards to most IT discussions. Jen is proud to be part of a privately owned financial planning firm which operates its own Australian Financial Services Licence (AFSL) and has a strong philosophy of independence and direct investing. GFM specialises in Self Managed Superannuation Funds, private portfolios and strategic advice. Today, the majority of GFM’s client base is SMSF clients. The SMSF service offering is a complete “end to end” offering including SMSF set-up, administration, compliance, investment advice and accounting. Jen is a mother of three children, Josh, Joelle & Jesse. She is currently residing and connecting to the business remotely out of Canberra where she is close to her family. GFM has been a great support to Jen in the continuity of her position in the company even as she manoeuvres through the challenges of being a single parent. Bree Hallett is a Financial Planner and an Authorised Representative at GFM Wealth Advisory. Bree commenced employment with GFM in January 2014. Originally from Perth, Bree completed a Bachelor of Science degree with Honours in Human Movement at the University of Western Australia. Shortly into her career as an Exercise Physiologist Bree was introduced to a financial planning firm in Perth and commenced working with the firm in April 2008. Deciding that Financial Planning was her career path of choice Bree undertook additional study including the Diploma of Financial Planning and is currently studying towards completing the Advanced Diploma of Financial Planning. In 2009, Bree joined Colonial First State, initially in Perth before transferring to Melbourne in June 2011. 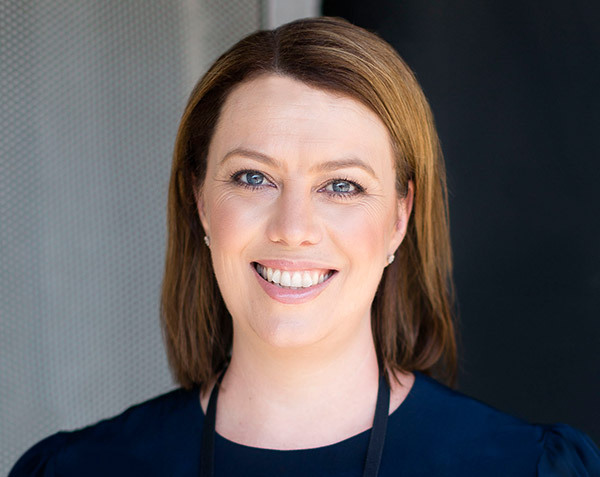 Through a combination of her experience acquired through working in an advisory firm, additional study and working for one of Australia’s largest funds management companies, Bree has developed specialist expertise in the areas of investments, portfolio construction, superannuation and retirement planning. In the role of Financial Planner at GFM, Bree assists with the management of the financial requirements of a diverse range of valued clients of the firm. As a Financial Planner, Bree is passionate and dedicated towards making a positive difference by assisting clients with achieving their financial goals and objectives through education and action. Bree is proud to be part of a privately owned financial planning firm which operates its own Australian Financial Services Licence (AFSL) and has a strong philosophy of independence and direct investing. GFM specialises in Self Managed Superannuation Funds, private portfolios and strategic advice. Today, the majority of GFM’s client base is SMSF clients. The SMSF service offering is a complete “end to end” offering including SMSF set-up, administration, compliance, investment advice and accounting. Bree is highly motivated to pursue on-going education and study within the finance field. Bree enjoys networking with like-minded individuals within the industry and has a strong passion for increasing the presence of women within the financial planning industry as clients and also as a career path. Bree is a member of the GFM Investment Committee, which meets monthly to research, select and monitor all the investments on the GFM Approved Investment List. Bree lives in the inner city of Melbourne. In her spare time she enjoys spending time visiting family in Perth and socialising with friends in Melbourne. Bree also enjoys living an active lifestyle, cooking for friends and is a passionate supporter of the West Coast Eagles in the AFL. Rebecca Lowe is a Senior Para-planner at GFM Wealth Advisory and leader of our Para-planning team. Rebecca joined GFM in October 2013 after working for the last 10.5 years at a large financial planning firm specialising in wealth strategies and retirement planning. Through her years of experience working in an advisory firm and additional study, Rebecca has developed specialist expertise in the areas of investments, portfolio construction, superannuation and retirement planning strategies. Rebecca enjoys the evolving nature of the financial planning industry and working with advisers and clients to create personalised financial plans that assist clients reach their long term personal and financial goals. In her role as Senior Para-planner, Rebecca is responsible for the preparation of comprehensive Statements of Advice that clients can understand. As team leader, she is also responsible for managing team workflow and the ongoing training and development of the team. Rebecca is proud to be part of a privately owned financial planning firm which operates its own Australian Financial Services Licence (AFSL) and has a strong philosophy of independence and direct investing. GFM specialises in Self Managed Superannuation Funds, private portfolios and strategic advice. Today, the majority of GFM’s client base is SMSF clients. The SMSF service offering is a complete “end to end” offering including SMSF set-up, administration, compliance, investment advice and accounting. Rebecca is a member of the GFM Investment Committee, which meets monthly to research, select and monitor all the investments on the GFM Approved Investment List. This keeps her fully in sync with the available market opportunities and GFM’s agreed investment approach. Rebecca lives locally and enjoys cooking, spending time with friends, catching up with family for long Sunday lunches and has an active lifestyle playing competitive netball and running. Denise Slattery is a Senior Para-Planner at GFM Wealth Advisory. Denise commenced her career with GFM in 2005 having completed a Bachelor of Commence Degree and a Diploma of Financial Services and having worked in the industry for 10 years. In April 2008 Denise moved from her Para Planner position to a Financial Planner position, looking after a number of our valued clients. In January 2013, Denise requested a part time position to raise her family and she has now returned as a Senior Para Planner within the Para planning Team. In her role of Senior Para Planner, Denise is responsible for the preparation of our Statements of Advice which outline the recommended strategies and investments appropriate to each client’s individual needs and objectives. Denise works closely with the advisers to ensure that the recommendations presented to our clients are tailored to ensure that the client’s financial goals (both short and long term) are addressed. Denise is proud to be part of a privately owned financial planning firm which operates its own Australian Financial Services Licence (AFSL) and has a strong philosophy of independence and direct investing. GFM specialises in Self Managed Superannuation Funds, private portfolios and strategic advice. Today, the majority of GFM’s client base is SMSF clients. The SMSF service offering is a complete “end to end” offering including SMSF set-up, administration, compliance, investment advice and accounting. 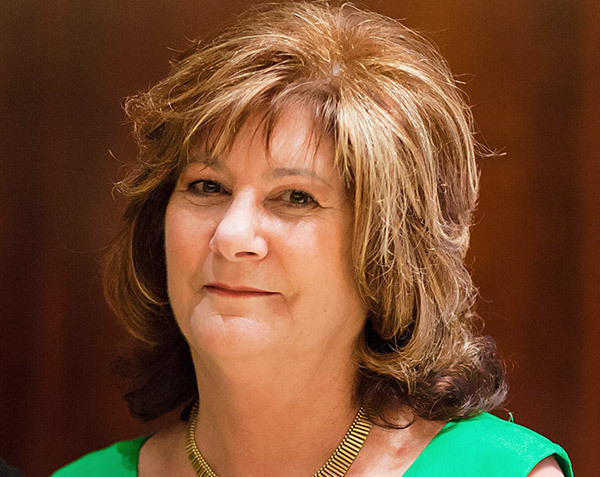 Denise is a member of the GFM Investment Committee, which meets monthly to research, select and monitor all the investments on the GFM Approved Investment List. This keeps her fully in sync with the available market opportunities and GFM’s agreed investment approach. Denise is married and has two young boys. When she has some spare time, she enjoys keeping fit at the gym, eating out with friends and spending time with her family. Lorraine Miller is our Project Manager at GFM Wealth Advisory. Lorraine joined GFM in 2001 and has performed many roles throughout the business. Over the last 8 years Lorraine has been our Project Manager at GFM Wealth Advisory specialising in the management and maintenance of our internal databases with X Plan and CommPay. With many recent changes in the Financial Planning industry there is continued pressure on our business to ensure we manage these changes in the most efficient manner for our clients. Lorraine maintains the accuracy of our databases so all our client data is up to date. X Plan and CommPay are owned and managed by IRESS. Lorraine has become a respected industry expert on the best practice application of the IRESS software. We are very lucky to have an industry expert like Lorraine continue to drive our processes with client management, portfolio and account tracking to ensure maximum efficiency. Lorraine manages the reporting from our databases to enable our Advisers to keep abreast of all that is happening with their clients. Lorraine also ensures that GFM Wealth Advisory complies with all facets of the Finance Regulations as they presently stand. 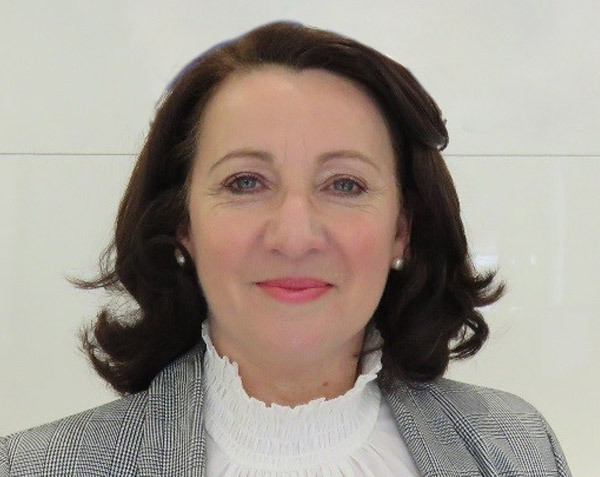 Lorraine is proud to be part of a privately owned financial planning firm which operates its own Australian Financial Services Licence (AFSL) and has a strong philosophy of independence and direct investing. GFM specialises in Self Managed Superannuation Funds, private portfolios and strategic advice. Today, the majority of GFM’s client base is SMSF clients. The SMSF service offering is a complete “end to end” offering including SMSF set-up, administration, compliance, investment advice and accounting. Lorraine is married to John and has two children in their twenties who are both very successful in their chosen careers. Maree Meehan is our receptionist at GFM Wealth Advisory. Maree commenced employment at GFM in February 1997 in an administration role, assisting all departments of GFM with our administrative requirements. During those early years all processes were indeed quite manual in nature. Maree and her husband Bryan (our Operations Manager) had a long term friendship with our founding partner Tony Gilham with Tony and Bryan having attended Christian Brothers College St Kilda together. In her reception role, Maree is the first contact for all phone calls to our office and for greeting all clients prior to their appointment. As well as these responsibilities, Maree assists all departments of our team with their administrative requirements and has overall responsibility for all incoming and outgoing mail. Maree is proud to be part of a privately owned financial planning firm which operates its own Australian Financial Services Licence (AFSL) and has a strong philosophy of independence and direct investing. GFM specialises in Self Managed Superannuation Funds, private portfolios and strategic advice. Today, the majority of GFM’s client base is SMSF clients. The SMSF service offering is a complete “end to end” offering including SMSF set-up, administration, compliance, investment advice and accounting. As mentioned above, Maree is married to our Operations Manager Bryan and they have just ticked over 40 years of married life. They have three married daughters and nine delightful grandchildren. In her is spare time Maree enjoys spending time with family, especially the grandkids, holidays, catching up with friends for dinner and coffees and while not as passionate as Bryan also follows the Carlton Blues as well. Annie An is an SMSF Senior Administrator at GFM Wealth Advisory. Annie commenced her career with GFM in 2005 as our Client Service Administrator. In 2007, Annie joined the SMSF team as an Administrator and as the business has grown over the years, she has accumulated experience in many areas and has developed excellent technical expertise in administering Self Managed Super Funds. In the role of SMSF Senior Administrator, Annie is mainly responsible for the setup of new funds and private investment portfolios, and also works closely with our accountants to co-ordinate the completion of the SMSF tax returns. Annie is passionate and dedicated in assisting our clients to have their queries or issues resolved as quickly as possible. Annie is proud to be part of a privately owned financial planning firm which operates its own Australian Financial Services Licence (AFSL) and has a strong philosophy of independence and direct investing. GFM specialises in Self Managed Superannuation Funds, private portfolios and strategic advice. Today, the majority of GFM’s client base is SMSF clients. The SMSF service offering is a complete “end to end” offering including SMSF set-up, administration, compliance, investment advice and accounting. Annie is married with a young daughter, and enjoys spending time with family and friends. Jacqui Umali is a Self Managed Superannuation Fund Senior Administrator at GFM Wealth Advisory. 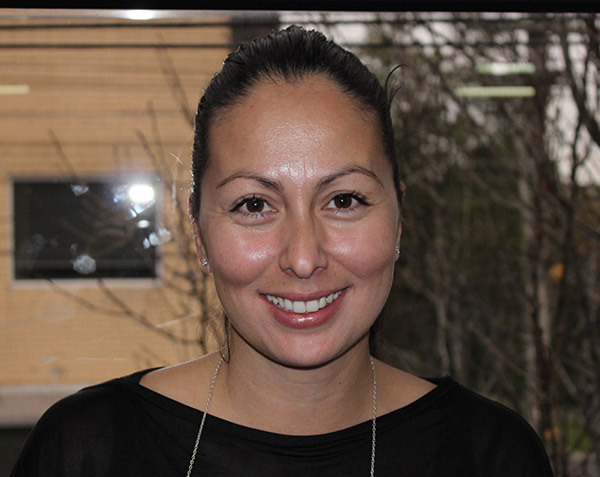 Jacqui joined GFM as an Administrator in 2007 as part of the Work Intergrated Learning program for her Bachelor of Business (Economics & Finance) course at RMIT University. She transitioned to working full-time as member of the Self Managed Superannuation Fund department once she completed the program. 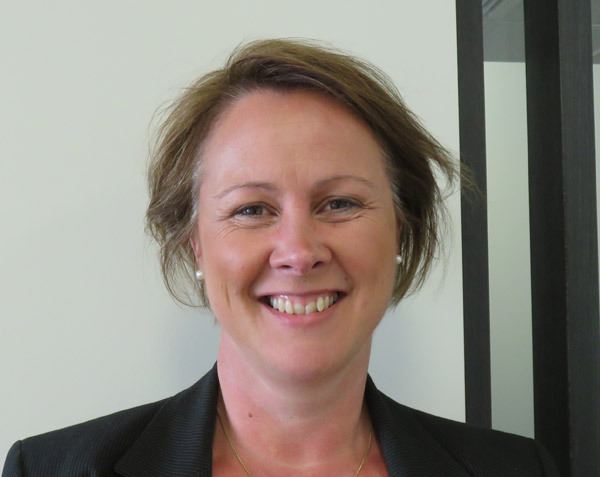 As a Self Managed Superannuation Fund Senior Administrator, Jacqui has been involved in a wide range of tasks – from preparing paperwork for client appointments and implementing all action items post-appointment to organising and co-ordinating new investment offers/placements. Jacqui is also heavily involved in our quarterly report process. Jacqui has always worked in our SMSF area and has been an integral part of the team that has seen the number of SMSF funds we administer more than double in her time with us. Jacqui is proud to be part of a privately owned financial planning firm which operates its own Australian Financial Services Licence (AFSL) and has a strong philosophy of independence and direct investing. GFM specialises in Self Managed Superannuation Funds, private portfolios and strategic advice. Today, the majority of GFM’s client base is SMSF clients. The SMSF service offering is a complete “end to end” offering including SMSF set-up, administration, compliance, investment advice and accounting. Jacqui enjoys spending time with family and friends, which usually involves brunches, dinners and wine. She loves watching sport especially Formula 1 and following her team, Arsenal FC, in the English Premier League. She would like to do more travel after being fortunate enough to take almost 5 months off work to explore Europe and USA in 2010. Philip Gruchy is a Senior Accountant at GFM Gruchy Accounting. After working at Monash University as an economics tutor and then in Canberra for 5 years working in the area of economics of less developed countries, Philip joined his father in 1977 in his Accounting Practice which had been running since 1961. 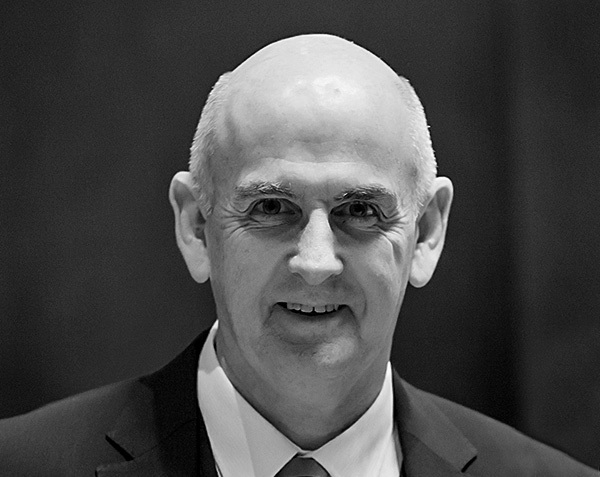 Alastair Thompson joined the firm in 1983, and when Phil Gruchy senior retired in 1989, Philip and Alastair took over the full running of the practice. The firm traded under the name of P Gruchy & Associates Pty Ltd. from 1988 until the sale to GFM Wealth Advisory in early 2014, where a new company known as GFM Gruchy Accounting was formed. All the staff of the old practice have transferred over to the new entity. The Gruchy practice has always had a significant proportion of clients in the professional areas, particularly medical, and has been strongly involved in the SMSF area for its clients from the mid-1970s. The practice does also cover a wide range of clients with diverse backgrounds including manufacturing, deceased estates and investors generally. Similar to GFM Wealth Advisory, a vast majority of the clients of Gruchy have been with the firm for many years, with a significant number in excess of 30 years and even a few who have been there from the beginning in 1961. The firm’s philosophy has always been a hands-on approach to clients with a lot of client contact by all staff, rather than faceless people sitting behind a desk. In many respects, over the years many of the clients have become more like an extended family than just clients. The same philosophy also applies to the staff, and the emphasis has always been on a team approach. The link with GFM Wealth Advisory has given the practice a much wider range of benefits that can be provided to existing clients. We are also thrilled that we can offer our Financial Planning clients high-quality accounting and tax services. Philip is married with two adult children and four grandchildren. He enjoys caravanning and is a regular participant in gym activities and has been for more than 30 years. Alastair Thompson is a Senior Accountant at GFM Gruchy Accounting. 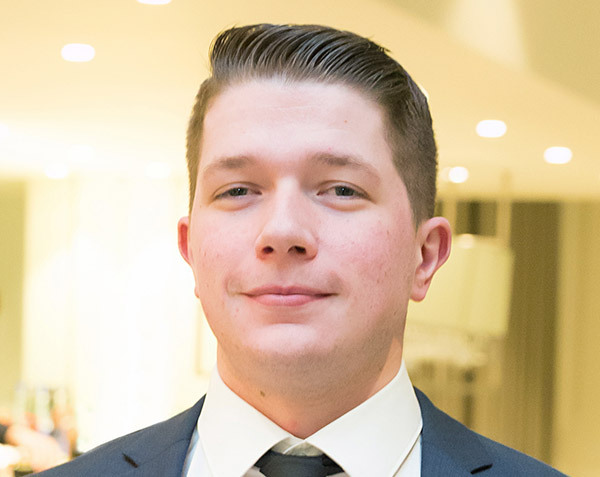 After graduating Alastair spent a number of years working in the accounting department of a public manufacturing company and then a Merchant Bank in London. Upon returning to Australia he spent a further seven years in a couple of mid-tier professional accounting practices involved in audit & tax. In 1983 he joined the practice of P. Gruchy & Associates as a senior accountant soon teaming up as a partner in the firm. The practice of P. Gruchy & Associates over the years has always had a broad range of individual clients and businesses including manufacturing, trading, insurance & textile agencies & market researchers The practice has been actively involved in self managed superannuation funds, general investment advice & deceased Estates. In performing these services it has been the firm’s goal to encourage close client contact by all staff. Alastair is proud of the fact that many clients have remained with the firm for over thirty years and staff have been extremely loyal. He maintains that the most enjoyable part of his work has been the close communication with clients & overseeing the professional development of staff. Since the acquisition of the Gruchy business in January 2014, Alastair has been particularly excited to be a part of the GFM Wealth Advisory team and is proud our acquisition has given the practice a much wider range of benefits that can be provided to existing clients. We are also thrilled that we are able to offer our Financial Planning clients high quality Accounting and tax services. Alastair is married to a New Zealander and has two children currently living overseas. Fortunately, he enjoys travel. He loves the Arts, is a keen photographer and enjoys a social game of golf. Alastair is also a supporter of Melbourne in the AFL. Kushal Sharma is a SMSF Accountant at GFM Gruchy Accounting. 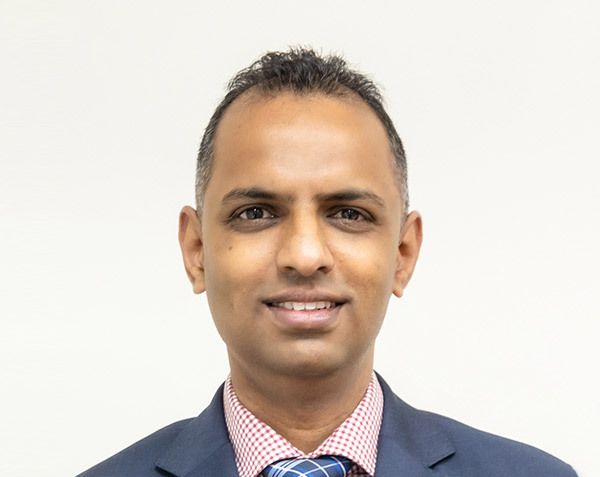 Kushal commenced his career with GFM Gruchy Accounting (Previously P. Gruchy & Associates) in 2009 as an SMSF Data Administrator and through a combination of client exposure and professional study has gained a thorough understanding in the area of superannuation. Kushal is a Certified Practicing Accountant (CPA) who holds a Bachelor of Commerce (Professional), Diploma in Financial Planning and has recently also completed the Super Concepts & ICFS Specialist SMSF course. In his current role of SMSF Accountant, Kushal is responsible for preparing financial statements, member statements, SMSF annual returns and activity statements. He also assists our clients in ensuring their compliance obligations are meet and ensures that any queries are immediately attended to. Since the acquisition of the Gruchy business in January 2014, Kushal has been particularly excited to be a part of the GFM Team and is proud that the acquisition has given the practice a much broader and more holistic range of benefits that can be provided to our clients. The GFM SMSF service offering is a complete ‘end-to-end’ offering including SMSF set-up, administration, compliance, investment advice and accounting. Before migrating to Australia, Kushal worked on consulting solutions for multi-outlet retail, high-volume wholesaling & manufacturing. Kushal is married with one son and in his free time, enjoys spending time with his family, and also enjoys dancing and listening to music. Ivan Yeung is an Accountant at GFM Gruchy Accounting. 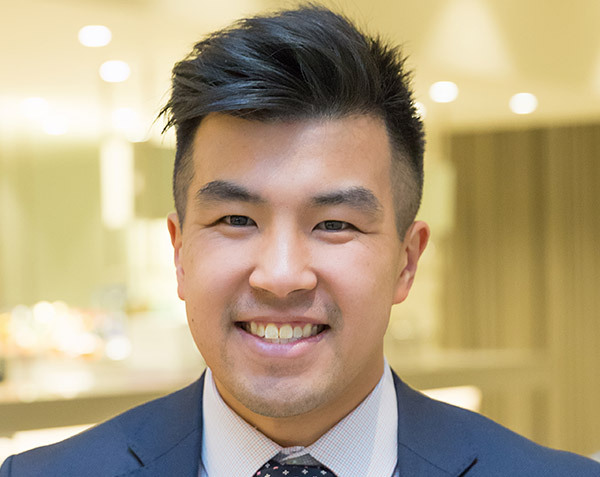 Ivan commenced his career with GFM Gruchy Accounting (Previously P. Gruchy & Associates) in 2011 as an Accountant, shortly after completing his Commerce/Science double-degree at Monash University. In the first few years, Ivan combined full-time work with part-time study as he undertook the Chartered Accountant’s program which he successfully completed in early 2013. He is currently a member of the Chartered Accountants Australia & New Zealand. In his role of Accountant, Ivan is primarily responsible for the preparation of Individual, Company and Trust tax returns as well as the preparation of year-end financial reports. It quickly became apparent that Ivan is a talented accountant, who always strives to achieve the best outcomes for our clients. Accordingly, Ivan also assists both Andrew and Philip with more complex tax work and regularly gets involved with meeting our clients as part of his continuing development. It is, therefore, no surprise that he has since become well-known and liked by many of our clients. Since the acquisition of the Gruchy business in January 2014, Ivan has been particularly excited to be a part of the GFM Team and is proud that the acquisition has given the practice a much broader and more holistic range of benefits that can be provided to our clients. An avid sports fan, Ivan is a keen supporter of the Geelong Cats and also closely follows the NBA and English Premier League. He is also the foodie of the GFM Gruchy group, with his culinary highlight so far being fortunate enough to dine at Heston Blumenthal’s The Fat Duck restaurant. Melany McLennan is our General Manager at GFM Wealth Advisory. Melany joined our firm back in 2014 with extensive knowledge in SMSFs having focused the last few years of her career on this area. She holds both the SMSF Association’s ‘SMSF Specialist Adviser (SSA)’ accreditation and the ‘Professional Certificate in SMFSs (PC.SMSF)’ from the University of Adelaide. Melany also holds a Bachelor of Business and Commerce (Monash University). Melany started her career at GFM as a ‘Senior SMSF Administrator’, where she obtained a thorough understanding of our systems and processes and, importantly, an understanding of the needs of our financial advisors to deliver the highest standard of services to our client. She then joined GFM Gruchy Accounting as the ‘Senior Manager – SMSFs’ where she was pivotal in ensuring the seamless integration of the then newly-acquired accounting team to the GFM Wealth ethos and was fundamental to ensuring that the GFM group could offer more holistic services to our clients. She recently re-joined GFM Wealth Advisory as our General Manager to ensure the continued smooth running and operations of our firm. The recent inquiries into the financial planning industry have announced a number of changes that will emerge in this area and influence the way we give advice in the future. As always here at GFM, we are on the front -foot, and one of Melany’s tasks is to ensure that our business continues to be well-situated and matched to this new landscape. Melany enjoys working with our highly capable team and enjoys driving them all towards a common goal of ensuring that our clients receive an exceptional experience at GFM. Melany is proud to be part of a privately owned financial planning firm which operates its own Australian Financial Services Licence (AFSL) and has a strong philosophy of direct investing. GFM specialises in Self Managed Superannuation Funds, private portfolios and strategic advice. Today, the vast majority of GFM’s client base is SMSF clients. The GFM SMSF service offering is a complete ‘end-to-end’ offering including SMSF set-up, administration, compliance, investment advice and accounting. Melany is married with two children and in her spare time enjoys playing golf and travelling. Nicola Beswick is a Certified Financial Planner® at GFM Wealth Advisory. As a Certified Financial Planner®, Nicola is passionate about working with people and understanding what is truly important to each individual and what they wish to achieve. This understanding allows Nicola to create a personalised financial plan for her clients to assist with their financial goals and objectives. Nicola joined GFM in September 2014, shortly after commencing a new career in Financial Planning after a nine-year career as a patent attorney for a global law firm. Nicola decided to pursue a career as a Financial Planner, after appreciating the true value of receiving financial planning advice after her father was diagnosed with Multiple Sclerosis. Nicola strongly believes in ongoing education and has recently completed the Certified Financial Planning designation, the highest financial planning designation worldwide. She continues to study many facets of the Financial Planning profession. Nicola is proud to be part of a privately owned financial planning firm which operates its own Australian Financial Services Licence (AFSL) and has a strong philosophy of direct investing. GFM specialises in Self-Managed Superannuation Funds, private portfolios and strategic advice. Today, the vast majority of GFM’s client base is SMSF clients. The SMSF service offering is a complete “end to end” offering including SMSF set-up, administration, compliance, investment advice and accounting. Nicola is a member of the GFM Investment Committee, which meets monthly to research, select and monitor all the investments on the GFM Approved Investment List. This keeps her fully in sync with the available market opportunities and GFM’s agreed investment approach. Nicola enjoys spending time with her partner, Mark and Chloe a retired greyhound they adopted. Nicola relaxes through her love of scuba diving and reading on the beach. When she is not out and about, she enjoys spending time with close friends and family. Andrew Goldman is a Director and one of our Senior Accountants at GFM Gruchy Accounting. Andrew offers our clients the benefit of experience gained during a Public Practice career that spans in excess of 30 years. He joined the team in May 2015, bringing with him a client base involved in professional sport, investing, political lobbying, farming, automotive repair, beauty therapy, software development, retail and construction. After graduating from Monash University with a Bachelor of Business degree majoring in Accounting, Andrew quickly advanced to CPA status with CPA Australia and holds the CPA Public Practising Certificate in addition to being registered as a Tax Agent with the Tax Practitioners Board. His positive attitude and desire to service clients to the best of his ability are qualities which have seen him hold Senior Associate or Partner-level positions for the majority of his career. Andrew prides himself on his ability to relate well with clients, staff and stakeholders and encourages his clients to understand and appreciate the complexities of tax and accounting issues which directly affect them. He believes that when clients are well informed, they are better positioned to make proactive decisions to benefit their business and affairs. Being Professional, Approachable, Proactive and Accessible are attributes that Andrew strives to demonstrate when creating and developing his relationships with clients. Andrew is married with four children, and his interests include horseracing and Ford muscle cars. Miryam Schejtman is the Practice Manager of General Accounting at GFM Gruchy. 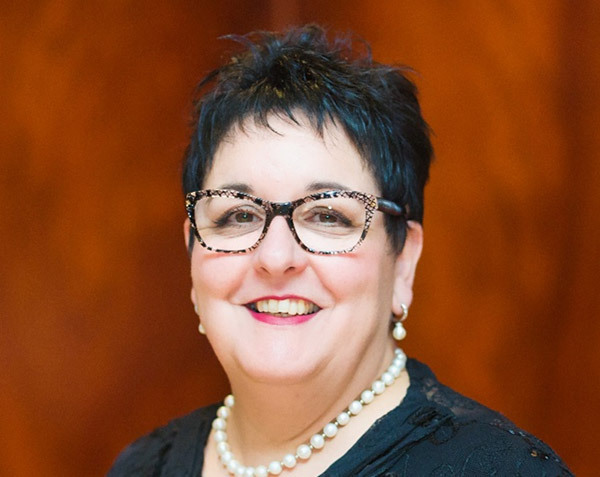 Miryam joined P Gruchy & Associates in March 2007 taking over the position of administrative assistant held by a member of staff who had been with the practice for over 20 years. In her role of Practice Manager of General Accounting, Miryam maintains the firm’s Corporate Secretarial database and oversees the day to day running of the office, including the maintenance of the equipment and liaising with IT support. Miryam also has significant experience in the preparation of income tax returns for Individuals, Companies, Trusts and Estates. Since the acquisition of the Gruchy business in January 2014, Miryam has been particularly excited to be a part of the GFM Wealth team and is proud the acquisition has given the practice a much wider range of benefits that can be provided to existing clients. Miryam has been in integral contributor to the seamless integration of the GFM Wealth and GFM Gruchy teams. Miryam is always looking for new ways to improve our business. Miryam prides herself in striving to provide the best possible service for all clients and provides wonderful support to the whole team. She is fully dedicated to her role at GFM Gruchy and proud of her achievements within her role. Ting Zhu is our Financial Controller at GFM Wealth Advisory. 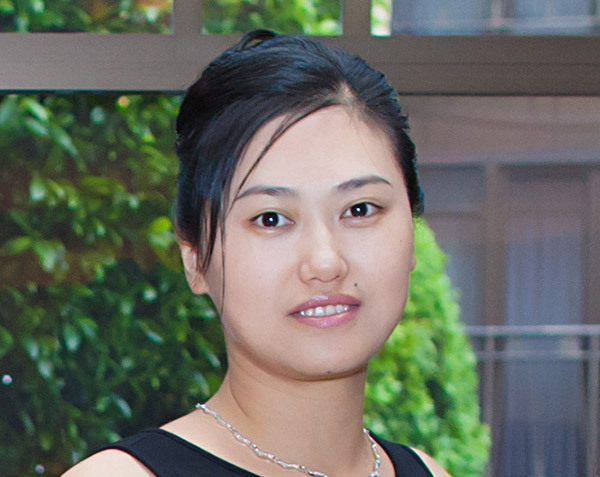 Ting joined the GFM team in May 2015. 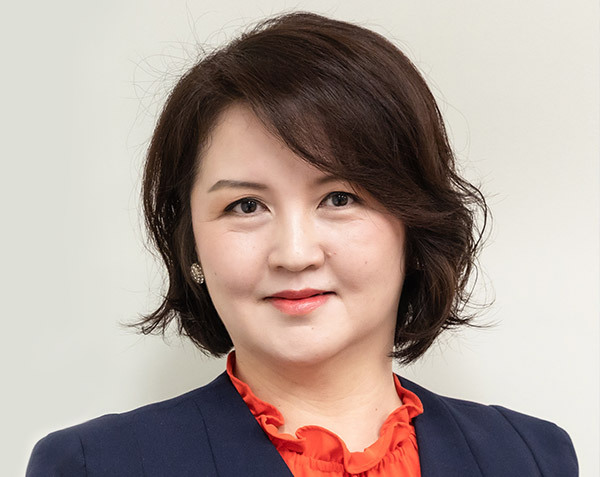 Prior to commencing a career within the financial planning industry, Ting spent the past 10 years working in financial and management accounting and business leadership roles both nationally and internationally in FMCG environment, Manufacturing, Household Cleaning, Retail and professional IT services. Ting holds a Bachelor of Arts with Honours degree/English Literature at Wuhan University China, Master of Accounting and Master of Commercial Law degrees at Deakin University. Ting successfully completed the CPA program in 2010. In her role as a Financial Controller, Ting is primarily responsible for the full finance function for the business that involves managing daily finance operations, payroll, monthly management reporting, financial budgeting and analysis, cash flow forecasting, statutory accounts, tax and business compliance, year-end reporting, income tax return and auditing, accounting policies and procedures. Ting is proud to be part of a privately owned financial planning firm which operates its own Australian Financial Services Licence (AFSL) and has a strong philosophy of independence and direct investing. GFM specialises in Self Managed Superannuation Funds, private portfolios and strategic advice. Today, the majority of GFM’s client base is SMSF clients. The SMSF service offering is a complete “end to end” offering including SMSF set-up, administration, compliance, investment advice and accounting. Ting is married with one daughter. In her spare time, Ting likes having yum cha and dinners out with family and enjoys catching up with friends for movies, art galleries, coffee and afternoon tea. Ting loves travelling around Australia with her daughter and husband and spending time visiting family in China. Santa Tolo is our Client Adviser Assistant at GFM Wealth Advisory. Santa joined the GFM team in March 2017 as a Client Adviser Assistant. Santa is the main point of contact for arranging client appointments and is working part-time. Santa’s career has been focused in financial planning having worked in the area for 20 years. In 2014, Santa commenced a Diploma of Engineering (Jewellery), embarking on the exploration and adventure in the world of fine jewellery. Santa spent over three years working for a jewellery retail chain, before commencing at GFM. Santa is passionate about helping people and ensuring our clients are happy. Santa is proud to be part of a privately owned financial planning firm which operates its own Australian Financial Services Licence (AFSL) and has a strong philosophy of independence and direct investing. GFM specialises in Self Managed Superannuation Funds, private portfolios and strategic advice. Today, the majority of GFM’s client base is SMSF clients. The SMSF service offering is a complete “end to end” offering including SMSF set-up, administration, compliance, investment advice and accounting. Santa is married to Daniel and has two adult sons, Michael and Gabriel. Her children are keen on sport in particular AFL and soccer. Santa attributes any knowledge in this area to her children as she actively watched them play from the sidelines. Santa enjoys being a mum, spending time with the family and friends over a meal. Santa spends time: cooking, entertaining, knitting and exploring new interests. Santa has an appreciation for all things that are creative and artistic. 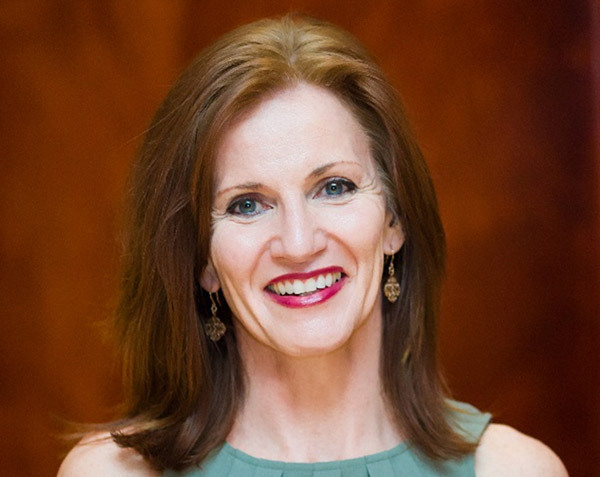 Gerardine Walsh is our Office Administrator at GFM Wealth Advisory. Gerardine joined the GFM team in February 2017 in a Receptionist and Administrator role. 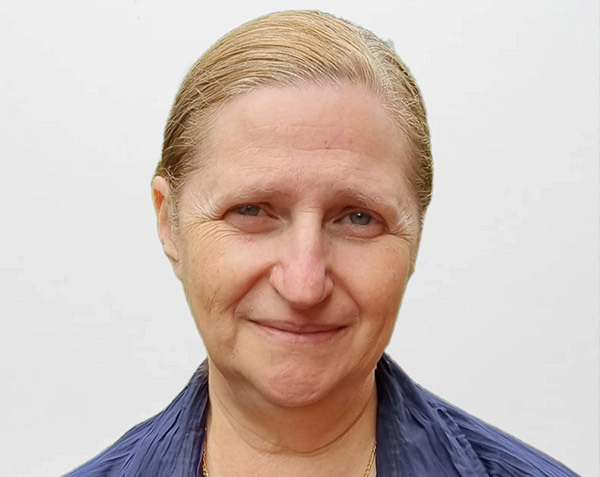 Gerardine looks after reception from Monday to Thursday and greets clients whilst assisting the business with our day to day administration requirements. Gerardine is proud to be part of a privately owned financial planning firm which operates its own Australian Financial Services Licence (AFSL) and has a strong philosophy of independence and direct investing. GFM specialises in Self Managed Superannuation Funds, private portfolios and strategic advice. Today, the majority of GFM’s client base is SMSF clients. The SMSF service offering is a complete “end to end” offering including SMSF set-up, administration, compliance, investment advice and accounting. Gerardine and her husband Tim have been married for 22 years and have three children, Harrison, Nicholas and Abbey. They live locally in Surrey Hills, however they are both originally from the country and enjoy travelling back there to spend time with their families. Gerardine enjoys keeping fit at gym and loves going to watch North Melbourne the Kangaroos play in the AFL as the whole family are keen Kangaroos supporters. Leanne Kelly is our Office Administrator at GFM Wealth Advisory. Leanne joined the GFM team in June 2017 in a Receptionist and Administrator role. Leanne looks after reception on Thursdays and Fridays and greets clients whilst assisting the business with our day to day administration requirements. Leanne is proud to be part of a privately owned financial planning firm which operates its own Australian Financial Services Licence (AFSL) and has a strong philosophy of independence and direct investing. GFM specialises in Self Managed Superannuation Funds, private portfolios and strategic advice. Today, the majority of GFM’s client base is SMSF clients. The SMSF service offering is a complete “end to end” offering including SMSF set-up, administration, compliance, investment advice and accounting. Leanne and her husband Terry have been married for 18 years and have two children, Olivia and Andrew. Leanne is originally from Sydney and whilst she enjoys returning to see her family and friends, always looks forward to returning home in Balwyn North. Leanne and her family are keen AFL followers and are passionate about the Melbourne Demons. Leanne also enjoys attending the theatre, is a real movie buff and enjoys dining out, a must for living in a culturally diverse city like Melbourne. Anthony Yannakakis is an Associate Financial Planner at GFM Wealth Advisory. Anthony joined GFM in May 2018, having completed a Bachelor of Commerce (Accounting and Finance) Degree and a Diploma of Financial Planning. Anthony has since also completed a Master of Applied Finance degree. Anthony previously worked with National Australia Bank during the course of his studies, helping to find payment solutions for business clients. He soon realised he would like to follow a career in Financial Planning working for a self-licenced firm. Anthony pursued a career in Financial Planning wanting to combine his passion for working with people and passion for finance. Anthony is proud to be part of a privately owned financial planning firm which operates its own Australian Financial Services Licence (AFSL) and has a strong philosophy of direct investing. GFM specialises in Self Managed Superannuation Funds, private portfolios and strategic advice. Today, the majority of GFM’s client base is SMSF clients. The SMSF service offering is a complete “end to end” offering including SMSF set-up, administration, compliance, investment advice and accounting. GFM specialises in Self Managed Superannuation Funds, private portfolios and strategic advice. Today, the majority of GFM’s client base is SMSF clients. The SMSF service offering is a complete “end to end” offering including SMSF set-up, administration, compliance, investment advice and accounting. Anthony is a member of the GFM Investment Committee, which meets monthly to research, select and monitor all the investments on the GFM Approved Investment List. This keeps him fully in sync with the available market opportunities and GFM’s agreed investment approach. Having a passion for food and fitness, Anthony enjoys eating out at different restaurants and keeping active on a daily basis. A keen soccer fan, Anthony is a Chelsea supporter in the English Premier League and Melbourne Victory in the A-League. Kerry Taylor is our Manager of SMSFs at GFM Gruchy Accounting. Kerry recently joined our firm to take on the role of managing the SMSF area of GFM Gruchy Accounting. She holds a Double Degree in Arts (Indonesian) and Commerce from Deakin University and a Graduate Diploma in Taxation Law from the University of Melbourne. It was while completing her Graduate Diploma that Kerry found her specific interest in the area of SMSFs. Kerry also holds a Diploma in Financial Planning and recently completed the Super Concepts & ICFS Specialist SMSF course. As our Manager – SMSFs she is responsible for all compliance and administration services of the SMSFs we handle as well as the smooth running of this department. Kerry is passionate about providing outstanding customer service and has amassed over 20 years of experience in accounting, tax and compliance of SMSFs. Kerry is proud to be part of the GFM Team. GFM specialises in Self Managed Superannuation Funds, private portfolios and strategic advice. Today, the vast majority of GFM’s client base is SMSF clients. The GFM SMSF service offering is a complete ‘end-to-end’ offering including SMSF set-up, administration, compliance, investment advice and accounting. In her spare time, Kerry enjoys spending time travelling with her two daughters and gardening.